What may have felt like a movie script actually played out in real life for some lucky moviegoers in Vacaville, California Saturday afternoon. 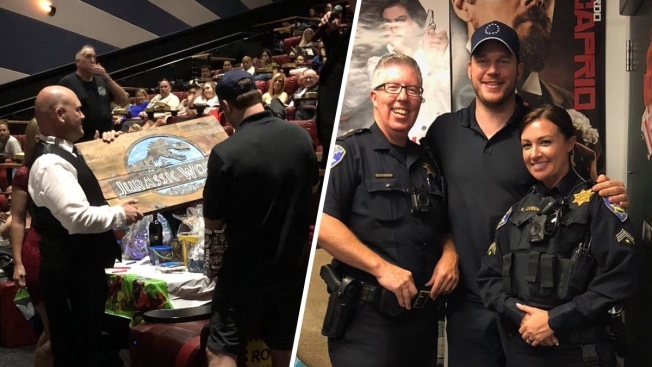 Chris Pratt, a star in the recently released "Jurassic World: Fallen Kingdom" movie, surprised those in attendance who were both at the Brenden Theatres location to catch the flick and participate in a charitable auction designed to raise funds for children of law enforcement officials suffering from cancer, according to Vacaville police. Why did the famous movie star step foot in the theater in the Solano County city? His brother, Daniel "Cully" Pratt, is a deputy with the Solano County Sheriff's Department. Daniel Pratt worked together with Bruce Simpson, an official with Brenden Theatres, to pull off the celebrity surprise and organize the charity event, police stated. 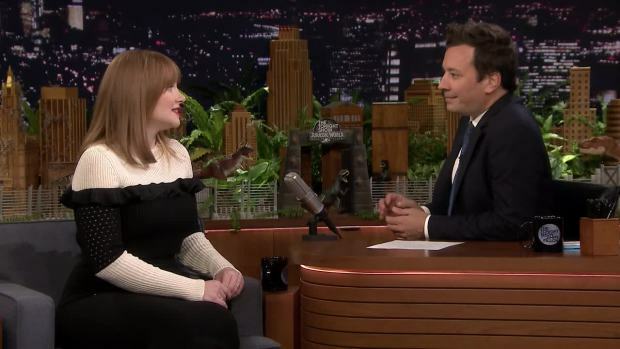 Bryce Dallas Howard reveals some terrifying secrets behind the action sequences in "Jurassic World: Fallen Kingdom," including how they used a roller coaster to help them shoot an intense falling gyrosphere scene. Chris Pratt participated in the auction and also stayed to watch the latest act in the "Jurassic Park" series, according to police. "The room was filled with both shock and laughter for the entire event," the police department wrote on Facebook. "Most importantly, those who truly needed this fun day got some time to enjoy the festivities alongside their families."